If you’re a lawyer, you may be using Corel’s WordPerfect instead of Microsoft Word. And now Corel has “Corel Perfect Authority,” a $200 program that automatically creates a “Table of Authorities.” If you know what that is, you’ll probably want to read on. 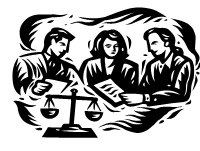 Hand-marking each citation for a Table of Authorities can take hours – especially for firms managing multiple cases that all require legal briefs. Using the The Bluebook and the California Style Manual as authorities, Corel Perfect Authority locates, alphabetizes and cross-references citations in a document to create a Table of Authorities. Corel Perfect Authority works with Corel WordPerfect Office X5 allowing law firms, paralegals, corporate legal departments and government agencies to reduce the amount of time spent manually creating Table of Authorities. This helps legal entities meet the citation formatting requirements of different districts or courts.